Karuturi Global Ltd (BSE: 531687, NSE: KGL) has released its Share Holding Pattern (SHP) for Q4 of FY’12, in National Stock Exchange. This latest SHP from the floriculture major with rose cultivation in Kenya, Ethiopia, & India, has a few surprises worth noting. Despite the stock falling steeply and continuing to remain down by over 87% from its 24-month high of Rs. 38.70, all through Q4, no major institutional buyers have emerged new, holding above 1% of equity. Also, none of the major, existing institutional investors have added to their positions, in this last quarter of fiscal 2012. Two large institutional investors have sold off minor quantities in Q4. While Deutsche Securities Mauritius offloaded 20.85 lakh shares, Emerging India Focus Funds has disposed off 6.26 lakh shares. However, compared with Karuturi Global’s equity base, these sell-offs are only minor as they amount to only around 0.33% stake. Nevertheless, their displayed willingness to sell even at these low levels, as well as the fact that KGL’s average daily volumes are around 15 lakh shares only, reveals that such institutional selling may be limiting the upside whenever the scrip moves to the upper end of the trading range. Also, there have been significant sells from FIIs holding less than 1% stake, as the overall FII holdings stand reduced by 2.97%, from 29.34% to 26.37%, as per the SHP filed at NSE. Total FII headcount has also reduced from 41 institutions in Q3 to 25 in Q4, which reveals that total exits account for the sell-off of the nearly 2.40 crore shares witnessed in the quarter. Interestingly, as per the SHPs published by BSE, the net FII sell-off in Q4 is 1.67%. FII headcount has fallen from 29 to 25 institutions. This glaring discrepancy between the two exchanges' data might be due to different criteria employed by the two exchanges to define FIIs during Q3. In any case, as reported by StockExplain during Q3, significant institutional sells are continuing, and as before, these sells are being absorbed mainly by retail investors, with even non-institutional body corporates reducing their stake and many of them exiting totally. Karuturi Global counter seems to be dominated by smaller retail investors holding less than 1 lakh shares, with their headcount at 76,612. On an average, such an investor holds 2130 shares. In contrast, individual investors who have taken large bets with more than 1 lakh shares in KGL are just 202 individuals. Such investors hold an average of 2.76 lakh shares. Another change in Q4 SHP is the expiry of lock-ins for some large investors, and this was a change widely expected to be there. While in Q3 SHP, the holdings of three FIIs - India Focus Cardinal Fund, Elara India Opportunities Fund, and Emerging India Focus Funds - were under a lock-in that prevented sells, in Q4 SHP all three holders are shown as unlocked or in free status. Together, they account for a significant 22.64% stake now, after the minor sell-off by Emerging India Focus Funds in Q3 & Q4. Among them, as StockExplain had reported earlier, India Focus Cardinal Fund is finding itself in serious regulatory trouble as India’s securities regulator, SEBI, is suspecting it for GDR manipulation in several scrips (excluding KGL). SEBI had barred India Focus from buying or selling in the Indian securities market, but this FII had later obtained selective permission from Securities Appellate Tribunal (SAT) to urgently sell select scrips including Karuturi Global, before SEBI’s final order comes. Though this had raised fears of a massive sell-off by India Focus in KGL counter, the SHP reveals that the FII had not resorted to it. It is a positive for the scrip that these three FIIs have not sold off largely despite the lock-in expiring in February. However, whether it is solely due to they being in steep loss, or whether it is a long-term bet on Karuturi Global is not clear. All three had bought Karuturi stock at Rs. 12, which translates to a mark-to-market loss of nearly 60% for them. On the flipside, it is also noteworthy that none of them have opted to lower their average holding price by buying more at these 60% lower levels. The SHP reveals that promoter stake continued unchanged at 18.07%, which is relatively low compared with Indian standards. It is not known why the promoter group is not upping its stake to reasonable levels like 26%, utilizing the 87% correction that has happened during the last 24 months. The low promoter group stake will be disturbing to some investors, especially because Karuturi Global Ltd has a holding company structure with wide disparity between standalone and consolidated numbers. For the first nine months of FY’12, standalone Karuturi accounted for only 4.88% in revenue and 7.23% in net profit, with all of the rest being produced in Karuturi Global Ltd’s subsidiaries and step-down subsidiaries, most of them operating overseas and coming under risky jurisdictions like in Ethiopia. Pledged promoter shares, as a percentage of promoter holding, has risen from 23.94% in Q3 to 29.41% in Q4. StockExplain had earlier reported on the new pledge in Q4 when it happened. Promoter shareholding held under the name of KS Ramakrishna, amounting to an 8.51% stake, continues to be under a lock-in. Also under lock-in is the 0.65% stake held by Bennett, Coleman & Company Ltd. The promoter group is not holding any warrants as of Q4 end, as they haven’t subscribed to any such instruments recently though there were plans to that effect. The main overhangs over the Karuturi Global stock include the significant execution risks it faces in its ambitious agricultural foray in Ethiopia, as well as the impact of an FCCB redemption coming up in October 2012. 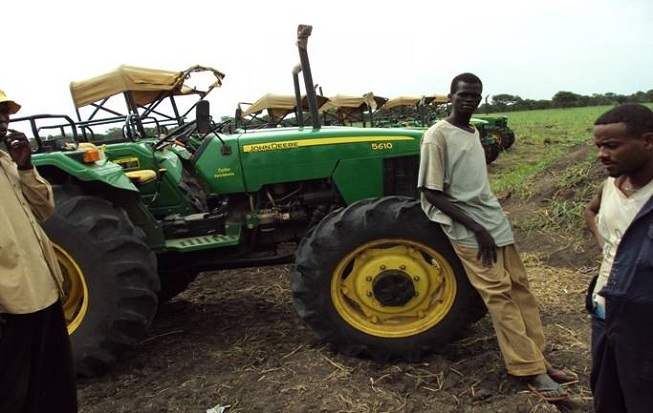 Recently, Ethiopian Government had announced that it would be increasing the land lease rates in lieu for constructing better infrastructure for contract farming companies in Ethiopia like Karuturi. Ethiopian Government had been under fire for providing land at cheap rates, which however was said to be the main propeller for Karuturi stock during its last bull run. The remaining FCCB redemption would require approximately Rs. 200 crore by October, as the conversion price being at Rs. 19 - nearly 4 times the current market price - conversions look impossible. Repayment of Rs. 200 crore will be of significant impact to Karuturi as its consolidated yearly profit in FY’11 was only Rs. 168.46 crore. In the first 3 quarters of FY’12, its net profit was only Rs. 70.65 crore. Another option before Karuturi is to restructure the FCCBs at a lower rate. However, that would be detrimental to existing investors as it will cause massive dilution, much above the 11% dilution caused if these bonds are converted at Rs. 19. Also, the bondholders will have to agree for such a plan. If the conversions happen at Rs. 19 as per the original plan, Karuturi will have to allot 8.37 crore new shares to the bond holders. Large investors in Karuturi Global include India Focus Cardinal Fund, Elara India Opprotunities Fund, Emerging India Focus Funds, Maxworth Investments, Rays Global Corporation, Tara India Holdings, SRY Crust, Citi Bank N.A New York NYADR Dept, and Deutsche Securities Mauritius. On Wednesday, 18th April 2012, the stock spurted with high volumes on both BSE & NSE, trading as high as 12.25% up at one time in BSE, but gave up some gains to close at Rs. 5.17 up by 5.51%.